At the beginning of a new year, many life cycles of the parrots begin and at the same time the phases of other parrot species close. Most of these bird species have formed flocks in the recent months and are interacting with other birds of their species. Their plumage and their muscular system have now fully developed and they are becoming more sociable. It is a relatively quiet phase in which the necessary foundations of the young birds are built, in order to grow healthy and strong. Many bird parents are still emancipating their offspring; this is the case of most species of macaws. The independence phase of this type of parrot is always very critical since the young birds are beginning to define their instincts. The birds, which are in the aviaries, receive from our curators a varied food preparation. Here they form groups and eat more, after all, they have more competitors and they must ensure their belonging. The stronger are usually faster and snap up the favorite seeds of the younger birds. But the young birds are getting faster day by day, since they imitate the methods used by the older birds. This behavior makes them become healthy birds. 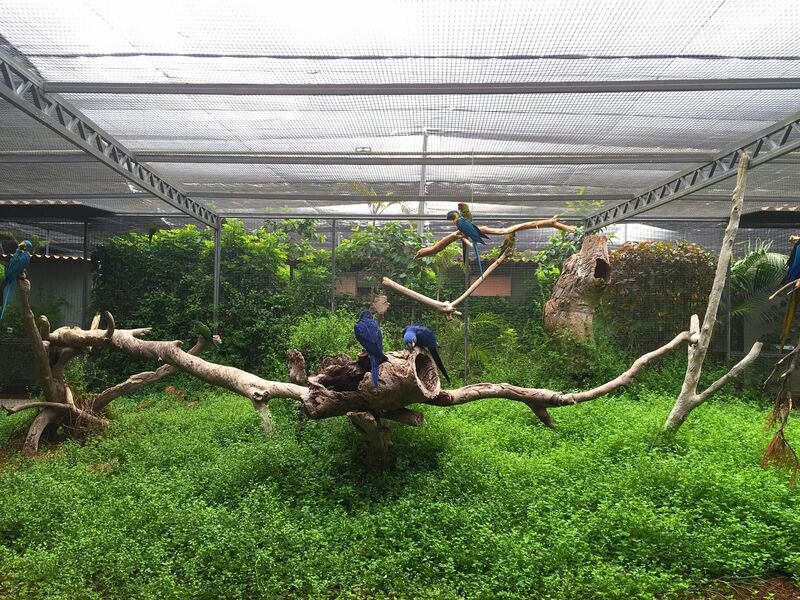 The large free fly aviaries of the breeding station of Loro Parque Fundación allow the growing of the different bird species. We observe satisfactorily how the plumage develops into a shining feather dress, and how the strong pectoral muscles of the different specimens develop. 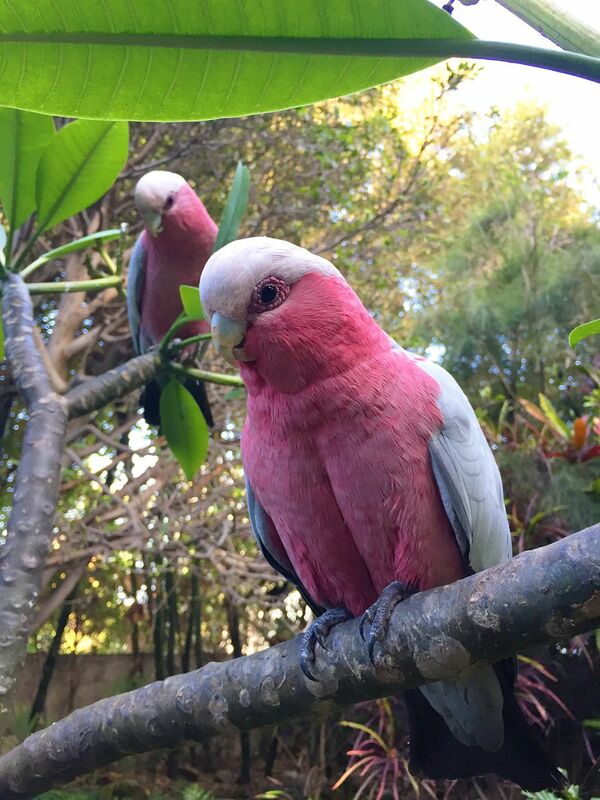 The young cockatoos, for example, fly always around without any clear destination. They train and rehearse flight methods. The visitors of the Loro Parque can observe this behavior with the one-year-old Rose-breasted cockatoo (Eolophus roseicapillus) in the large free-flying aviary “Katandra Treetops”. They fly between the colorful flocks of Loris, Cattle egret (Bubulcus ibis), Australian white-faced heron (Egrette novaehollandiae) and show their flight skills over the heads of enthusiastic spectators, exploring every angle and every single plant, in the first morning hours or in the late afternoon. At the beginning of the year the new bird pairs are also being formed. The partner search can be observed well within the groups. Even at a young age, the males, as well as the females, choose the right partner. This bond can last a lifetime, as it is the case of the Inka Cockatoo (Lophochroa leadbeateri). It is really astonishing in this species to see the ability they have to choose a partner who does not belong to its relative consanguinity and to lead a long, harmonious life together. Large free fly aviary enables the development of muscles and feathers. This breeding success is due in part to this phase. Our team for species conservation is currently organizing the breeding stock and examining, together with the veterinarians, the bird pairs, who had no offspring last year. The aim is to adjust the parameters accordingly. We hope to achieve many breeding success this year and wish all breeders a lot of success.